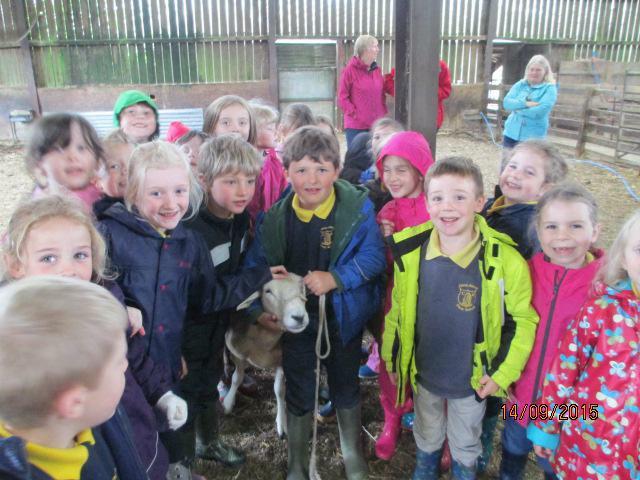 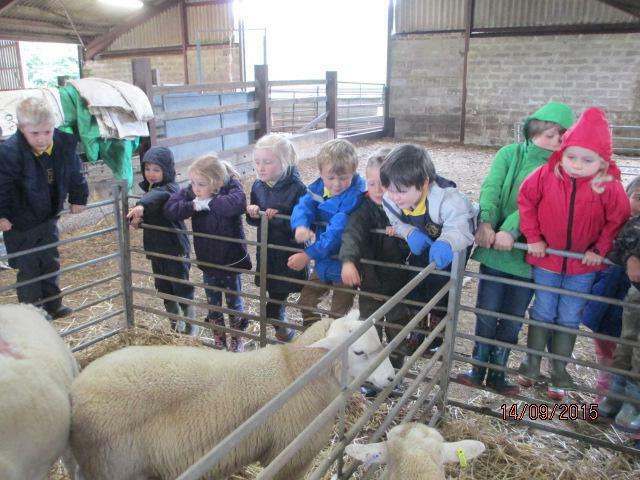 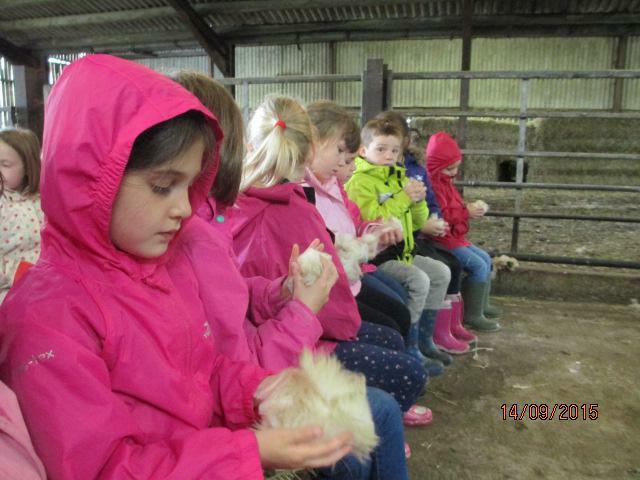 On Monday the Trendle Class visited Tesco and Sydling Estate Farm. 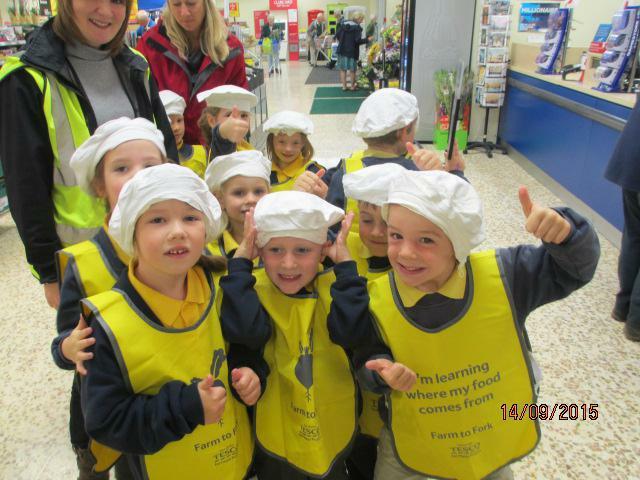 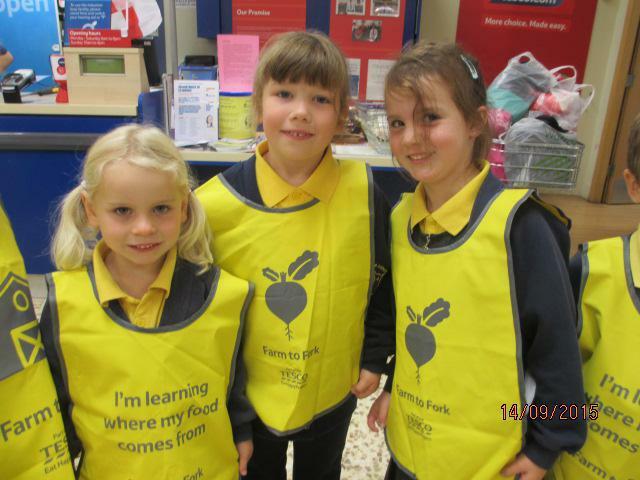 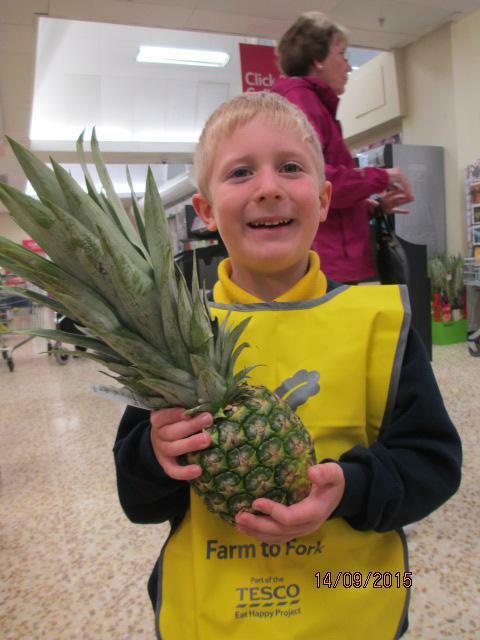 At Tesco we took part in the farm to fork project which was great fun. 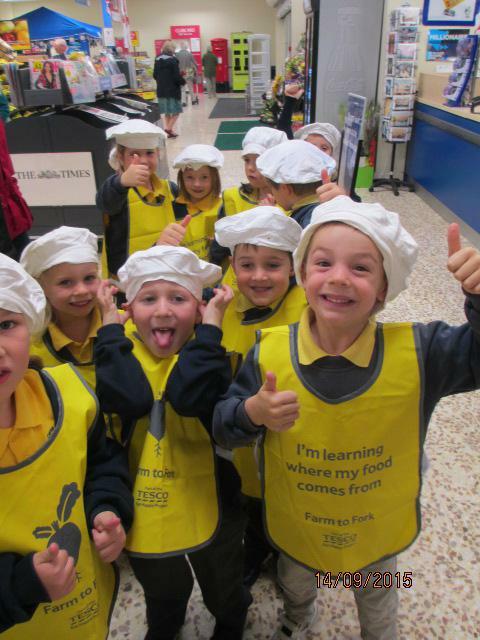 We had to wear yellow aprons and our first task was to find fruit and vegetables from as many different countries as we could. 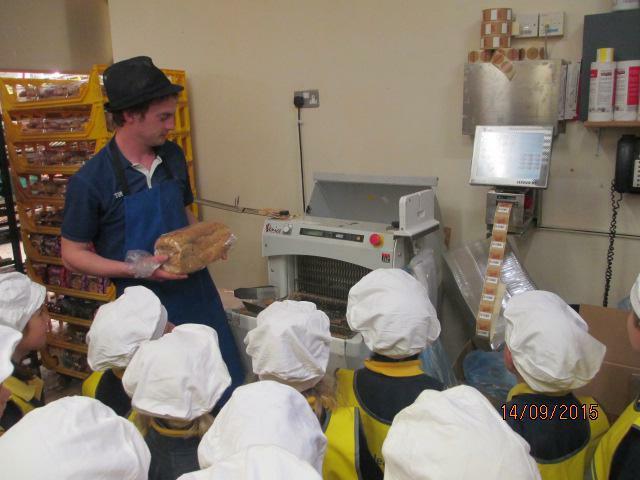 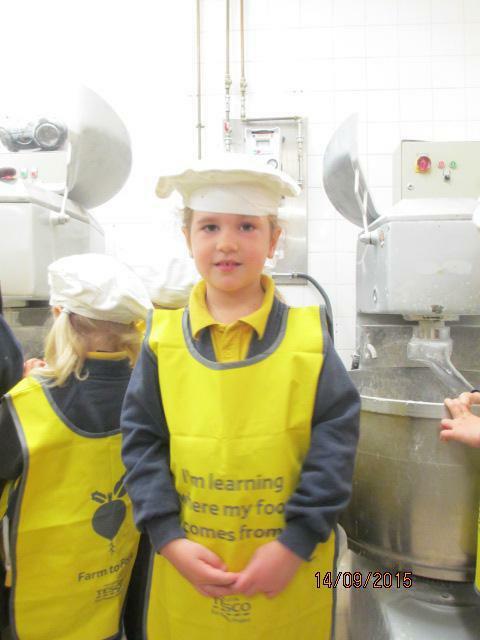 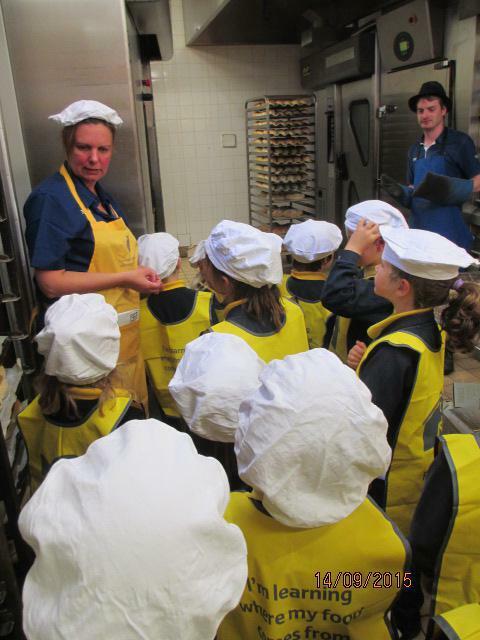 We then put on white hats and visited the bakery to see how they made and packed bread. 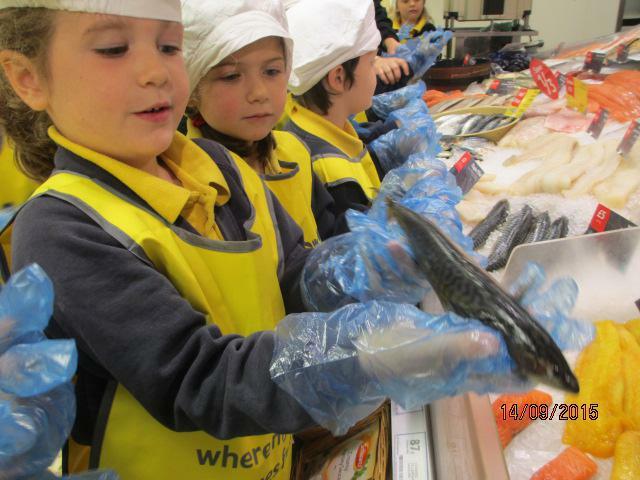 After that we held the fish at the fish counter and finally we were allowed to taste different foods that originated from the farm. 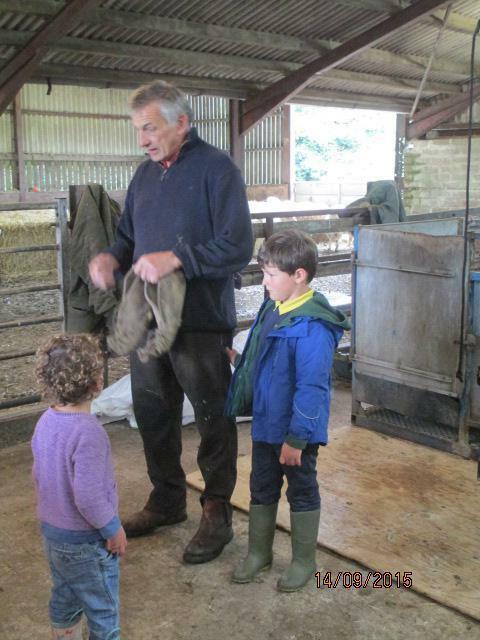 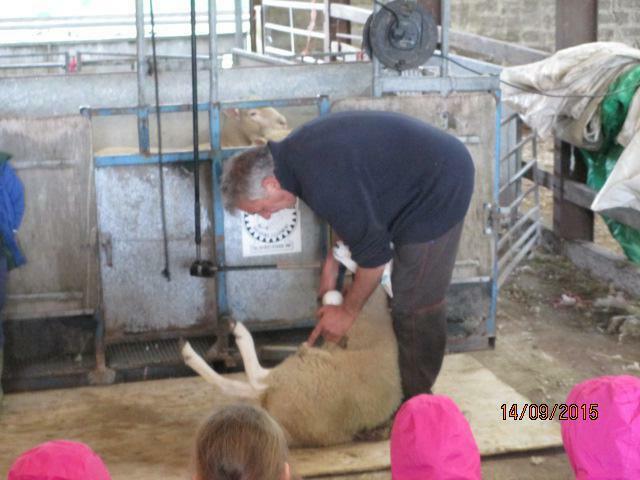 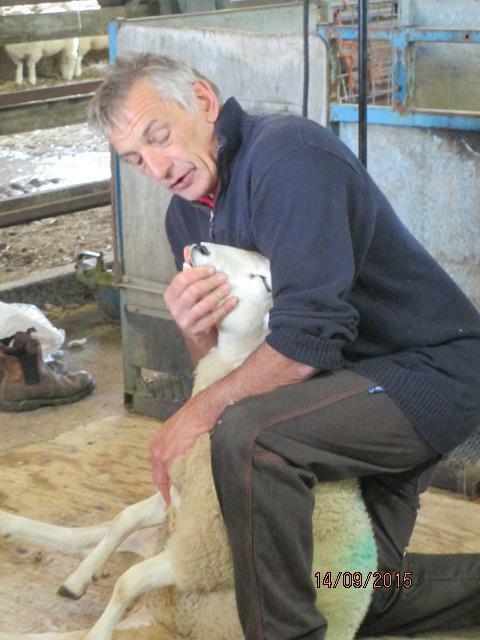 When the afternoon came we went to Sydling Estate farm and watched sheep being sheared, we were then able to feel the wool and learn about what happened to it. 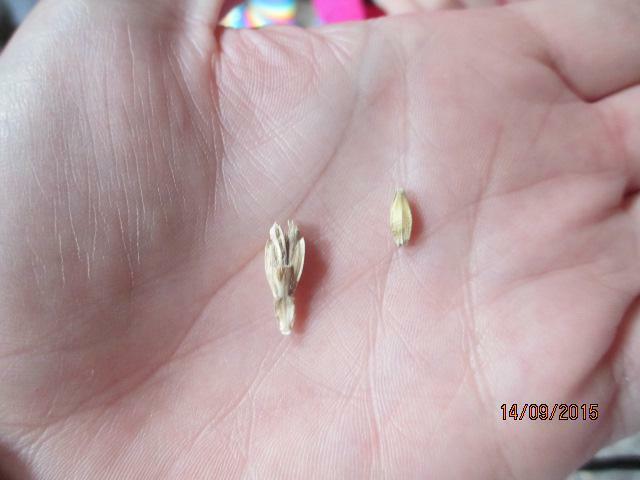 We also felt grain called spelt and oats and saw what this was turned into. 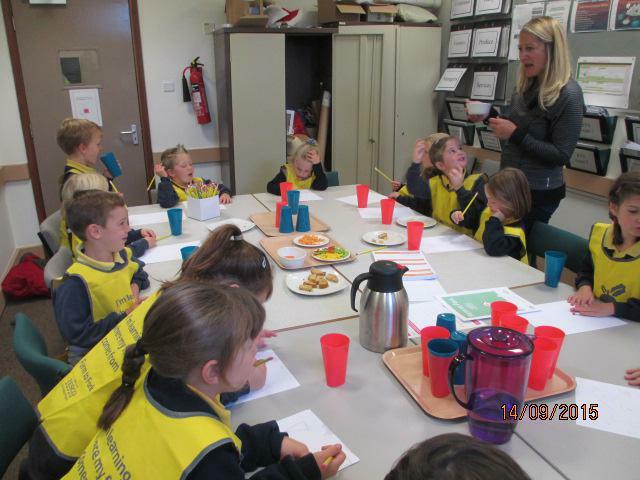 We even ate some cherry oaties that were made from oats. 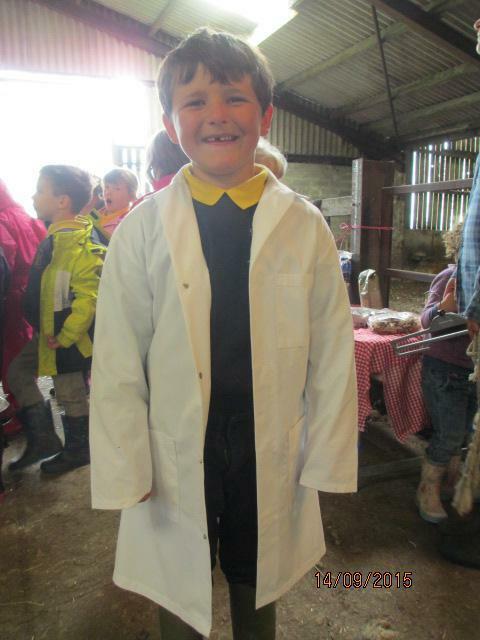 Thank you so much to Charlie Elford's mum and dad for organising the farm part of the trip. 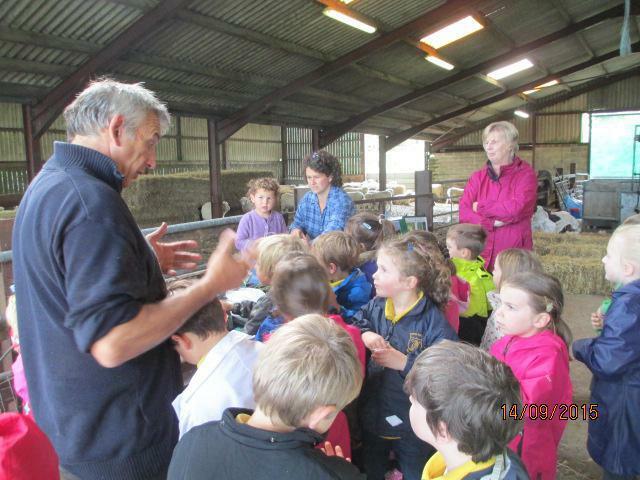 We had a really enjoyable day and learnt so much about where the food we eat comes from.